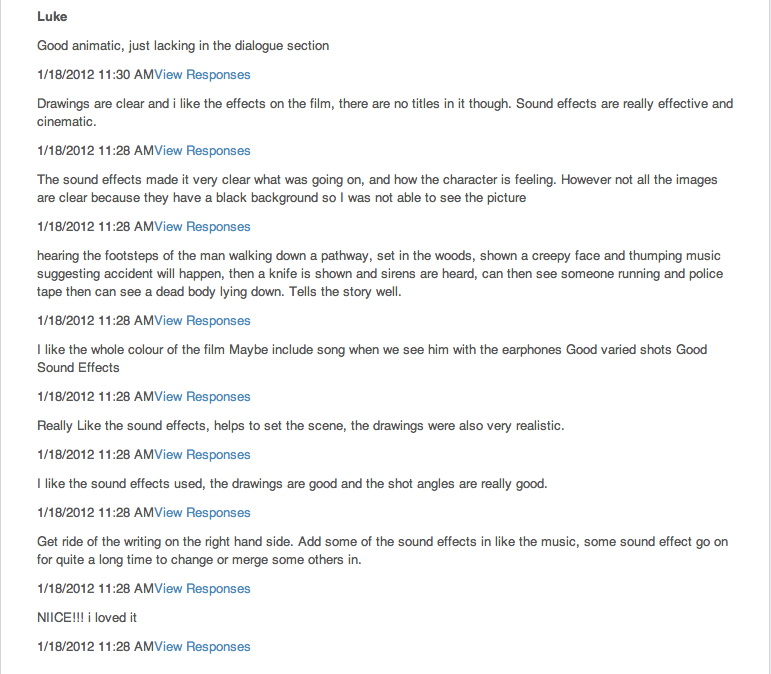 Overall I was quite happy with the feedback I got from my classmates over my animatic. The main improvement that I had to carry out was to include some dialogue for things like actors and producers names. 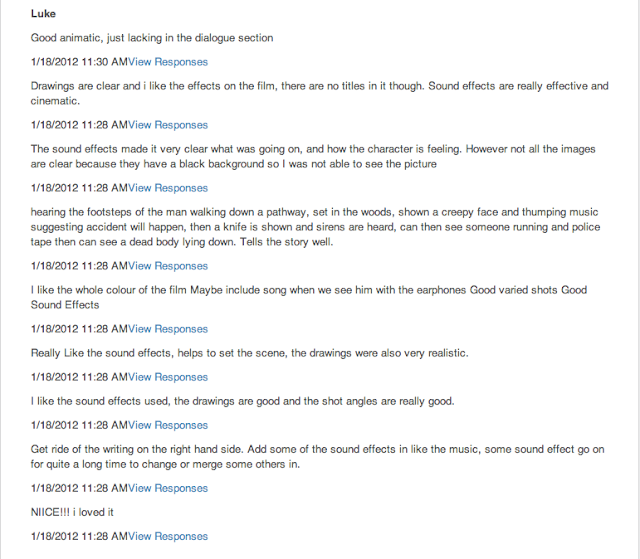 I was happy that my classmates were able to ﻿understand my storyline and enjoyed my sound effects. With a few adjustments to my animatic I believe that it can be a successful one.